A true family holiday home with plenty of room for everyone and two beaches just metres away. 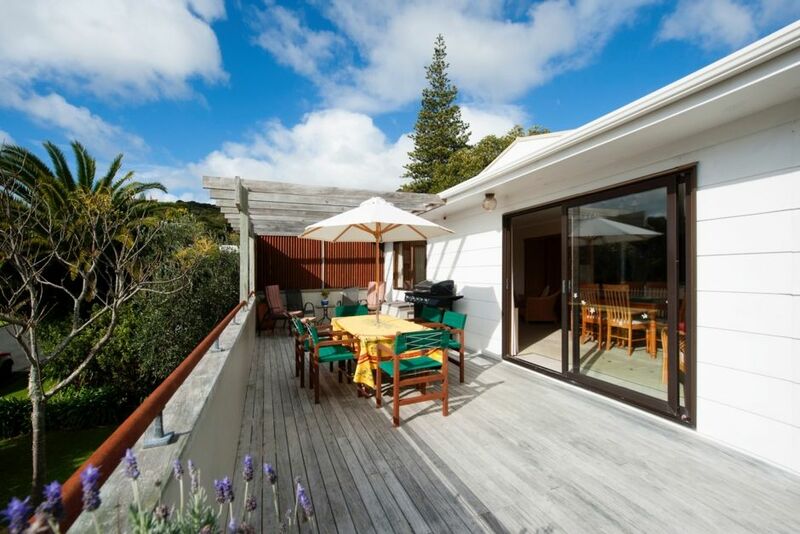 This is a great home from which to explore Russell and the wider Bay of Islands with plenty of land or sea activities for everyone. Casa Del Sol has accommodation for 8 people in 3 bedrooms and 2nd lounge with trundle bed. Tapeka Point provides an ideal holiday spot. There is a safe swimming beach and a boat ramp for quick access to good fishing! The cafes, restaurants, shops and galleries of Russell are just a short drive away. Activities and tours can be booked at the Information Centre on Russell Wharf.